Leopard Club and Legend have quickly built a good relationship which already bore fruit with Legend's Leopard C2 MEXAS upgrade kit. 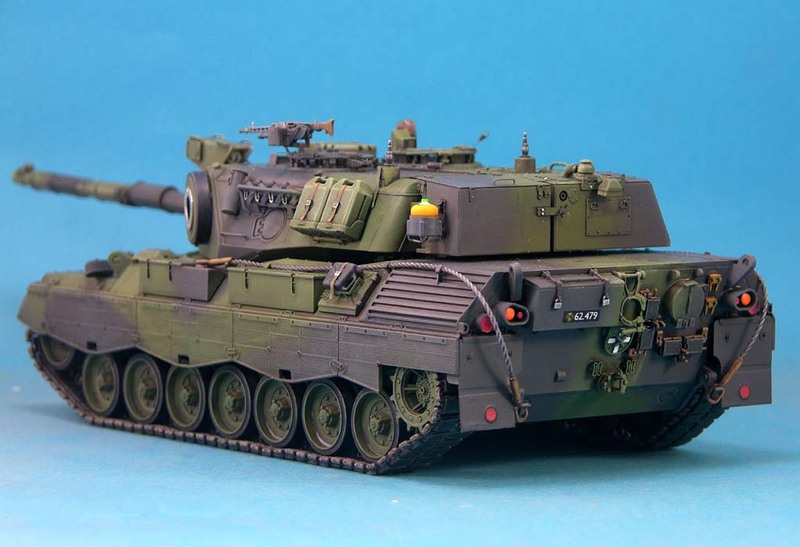 When we showed Legend some Danish Leopard 1A5 photos and suggested a conversion of the recent Meng Leopard 1A3, they were very eager to join the Leopard party. 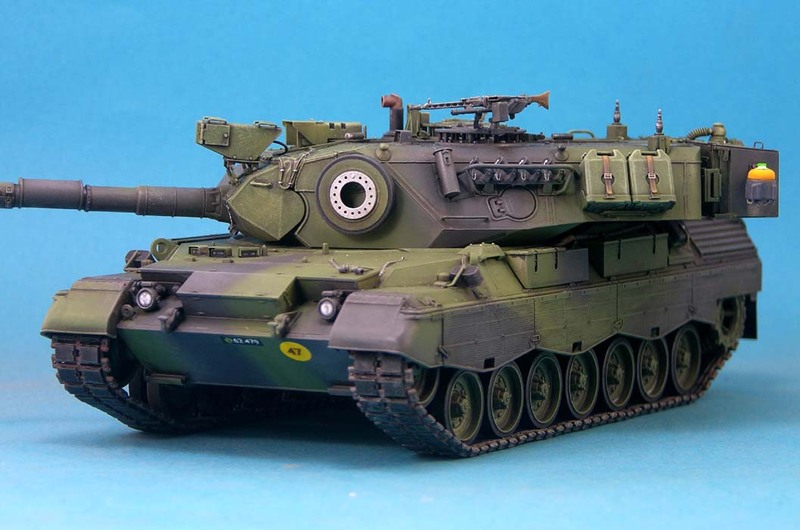 The Danish Leopard 1A5DK1 version is the most extensive rebuild version of the Leopard tank in the Danish Army. Many years ago Danscale made a set for the 1A5DK1 but it has been out of production a long time now. 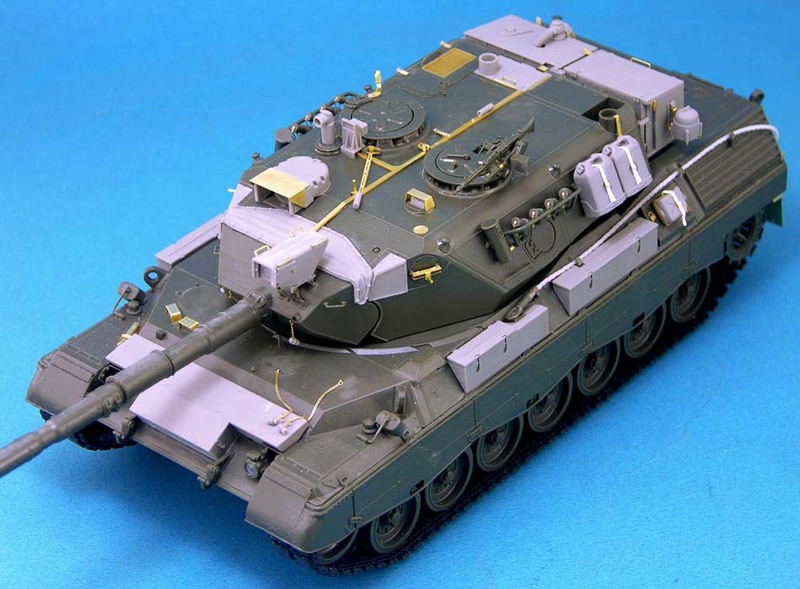 Any modeller who wants to build this version has therefore had to turn to scratch building. 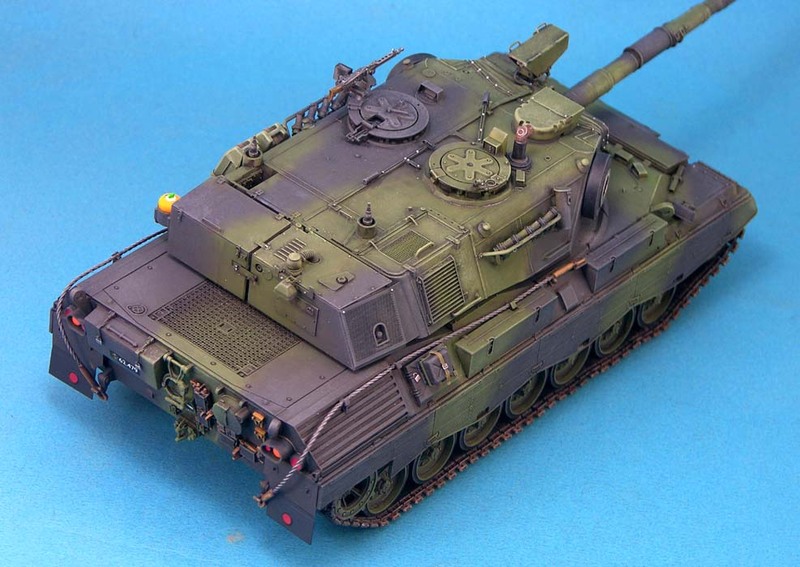 Personally, I had totally given up hoping that a set would ever come around of this version; especially as only 35 Leopards were ever converted. I was therefore quietly pleased to hear that Leopard Club were working with Legend on this conversion. Now that I have it, I must start by expressing that this is a very, very good set. 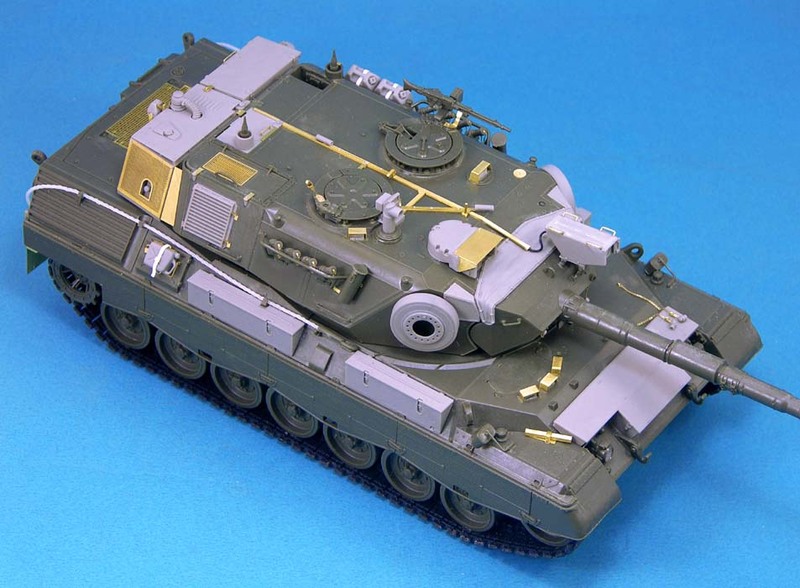 The rather small box is stuffed with detailed and well-cast parts to make a Danish Leopard1A5DK1 that served with SFOR and KFOR. The box contains 42 resin parts (34 different ones). Most of the parts are obvious for this kit - parts that makes the 1A5DK1 version but there are also treats among them. 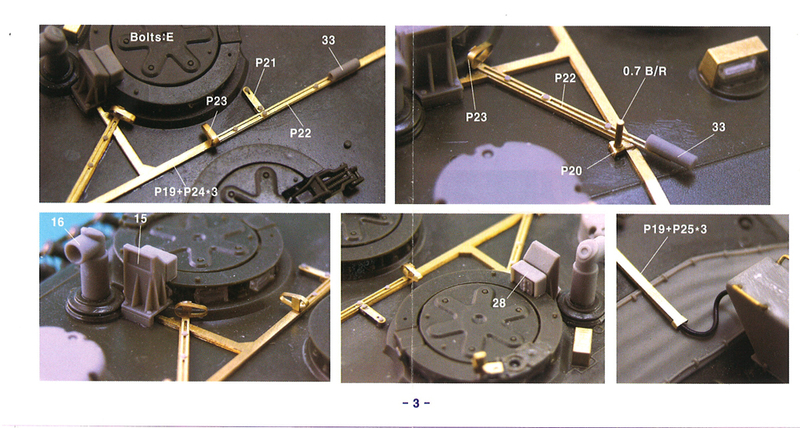 The additional parts are: 2 sheets of photo-etched parts, 3 brass wires in different sizes, a nylon string for the tow cable and two full-color instructions with the steps illustrated in clear photos. 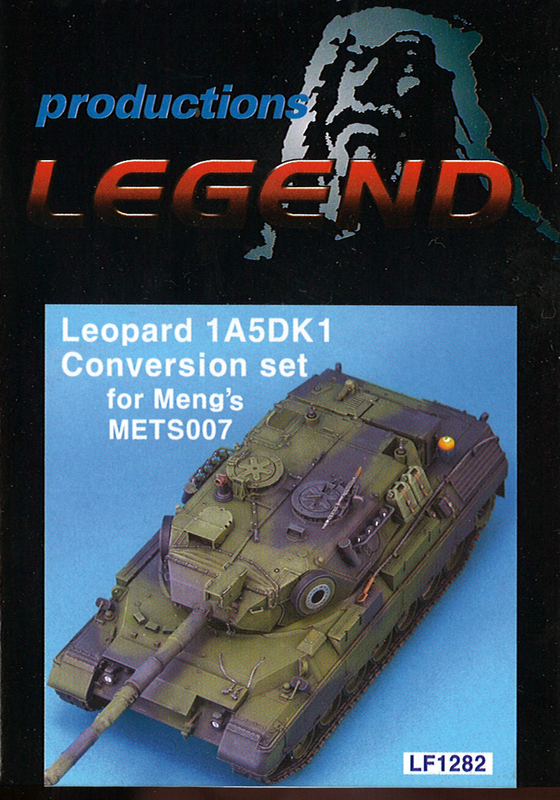 The set is aimed at the Meng Models Leopard 1A3/1A4 kit. 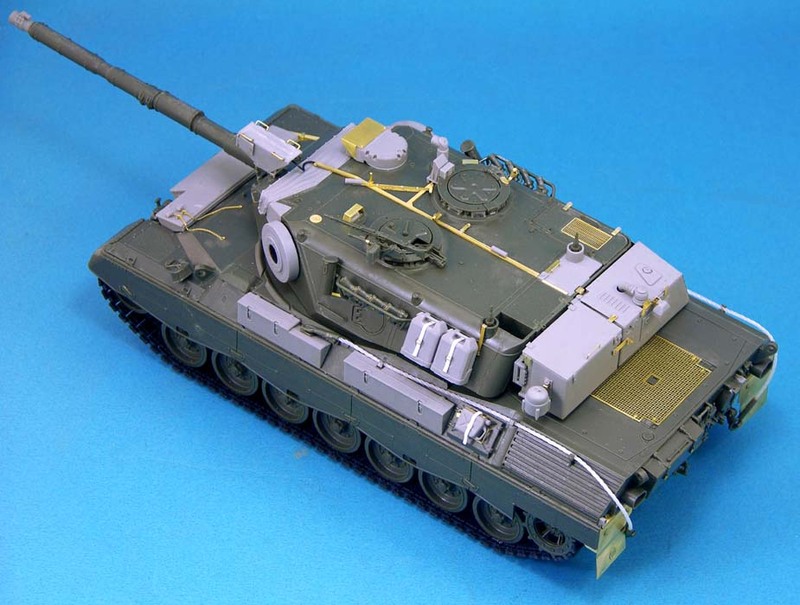 However, I've tried the parts against an Italeri Leopard 1A4 kit and they fit perfectly. You can therefore make your own choice of donor kit. For the hull there are the four Danish tool boxes cast in resin; all very clean and well detailed. The instructions do not provide measurements for their placement on the hull sides, but the pictures are quite sufficient, I think. 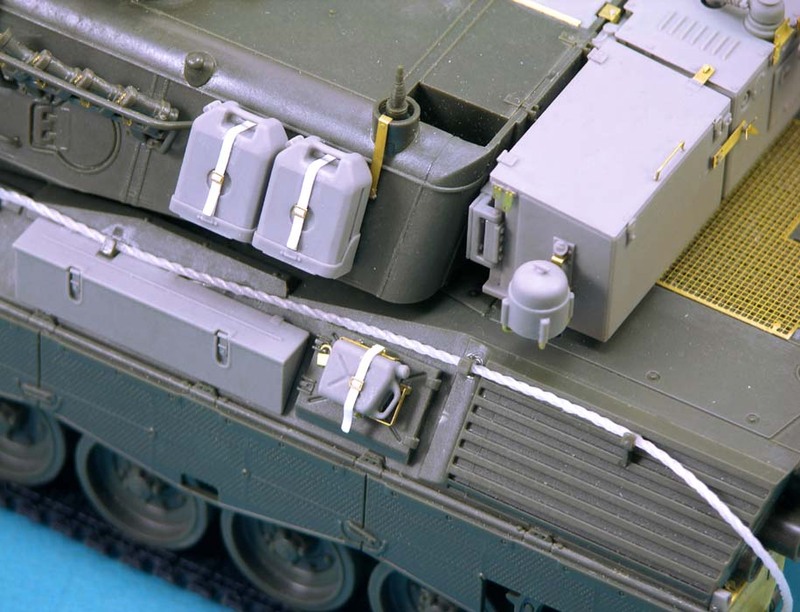 On the glacis plate of the tank the modeller can choose to place a provided grouser box. However, this was mostly added to KFOR versions, though some late versions of SFOR had them too (check your references for this). To top it, all the set provides four padlocks for the boxes, which unfortunately is not enough. All seven boxes have their own locks. The set provides five (one more than needed) mantlet plugs with etched chains. Two are for the mantlet itself, and two to be placed on the grouser box. For the front there are the two brackets for the dozer attachment on the lower hull front. On the front right side there is a bracket for the dozer cable which is done with five PE parts and is really a small beauty. On the original tool boxes, next to the exhaust grilles, the set provides two brackets for a small oil can. However, PLEASE NOTE that these were only carried on the right-hand side. This oil can arrangement is also a late version modification - again check your references! For the engine cover the set provides etch parts for the tools - very similar to any other PE sets, but it's nice they are there. For the rear hull there are two PE mud flaps; personally I wouldn't use them but many appreciate them. They are very detailed and consist of five pieces each. For the telephone box there is the lamp to indicate an open line to the tank crew. The best part in my opinion, however, is the inclusion of the two end brackets for the side skirts - the first ever in a kit. Nice one Legend! 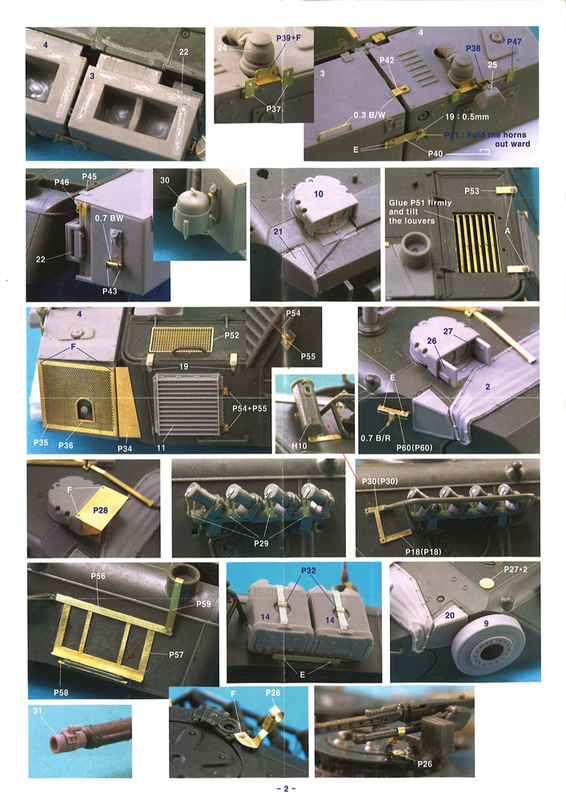 Though only the minority of the kit is for the hull, you are given many fine parts for your build already. Most of the parts for the turret are naturally for this specific version. I would, however, also like to express my appreciation for including parts that also updates the donor kit. 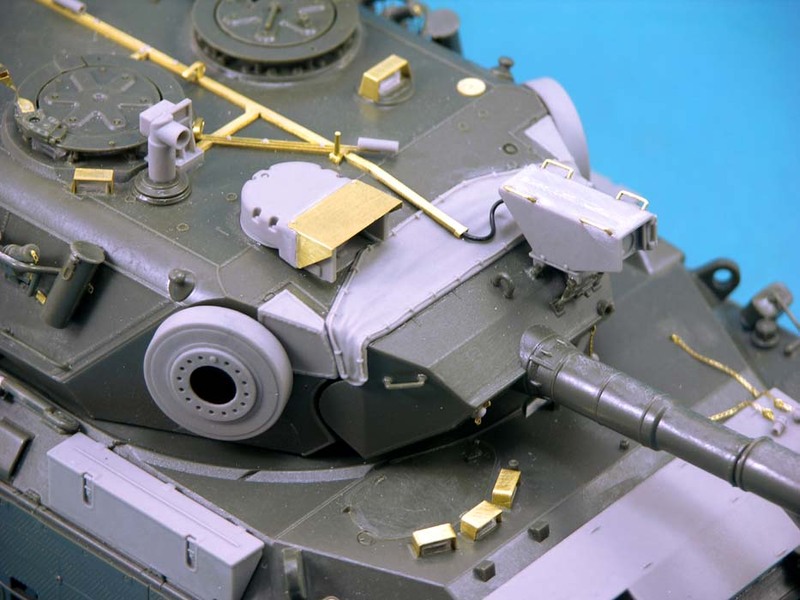 These parts include a new piece for the gun muzzle with the collimator, a mantlet cover, chains for the smoke dischargers and the locking mechanism for the cupola machine guns. The next group of parts to mention are those specifically to build the 1A5DK version. This is the EMES18 with PE guard, blanking parts for the previous TEM2 rangefinder apertures, the commander's forward periscope and the panoramic sight. The Danish 1A5DK1 parts, of course, form the majority of the conversion parts. The most visible ones are located at the back of the turret. 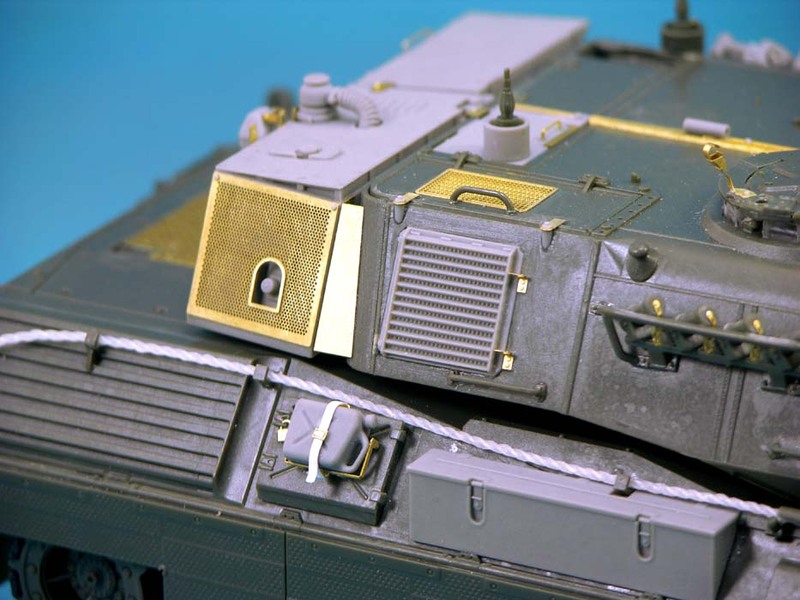 The DK1 version was provided with both an APU box (on the turret rear) and an air conditioning unit (built into the right side of the turret). 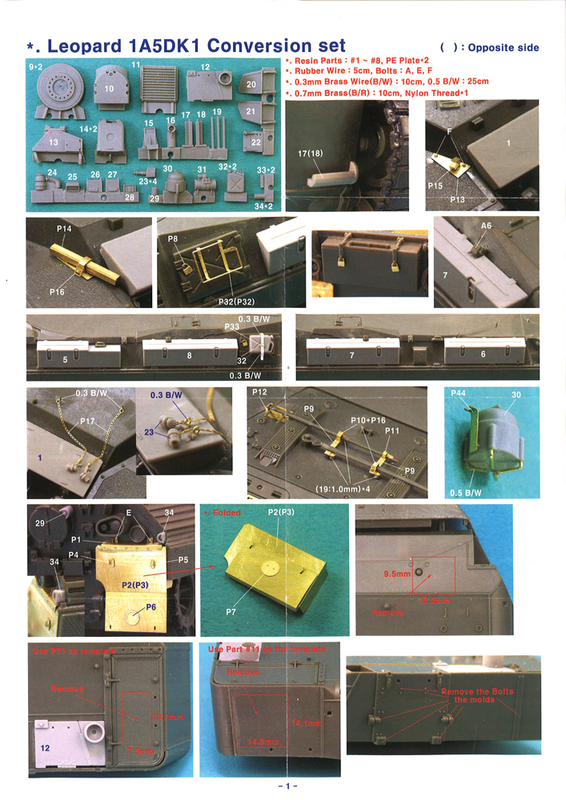 These parts are made both in resin and with PE parts. The APU box is a solid casting (though oddly open in the bottom!). Personally, I would have preferred it with a separate lid and some interior parts, but I think most modellers will be quite satisfied with this. The box has many resin and PE parts to add extra detail, most importantly the mesh. Among these is also an extra light. Again, these were only used on late versions. 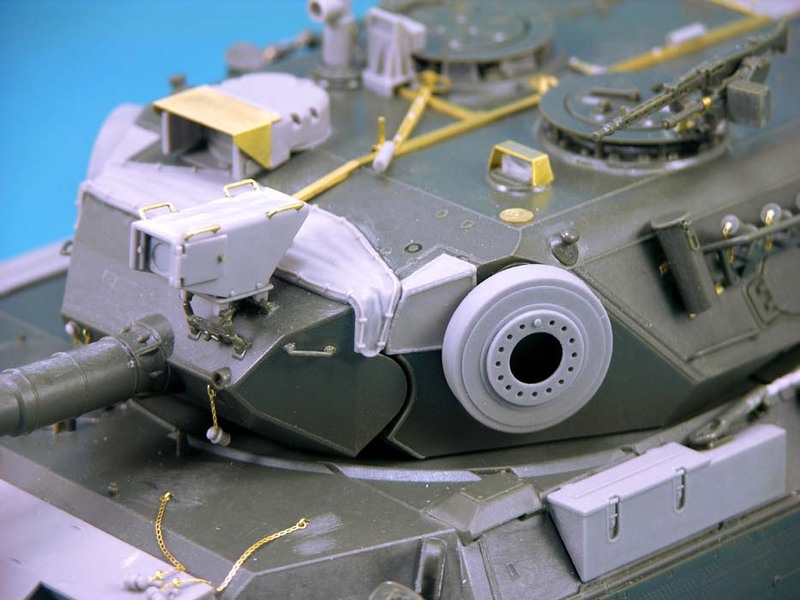 The air-con is made up with both a resin grille (for the side of the turret) and PE parts (for the top of the turret) for which a rectangular hole has to be carefully opened up. There are also PE parts to further detail this. 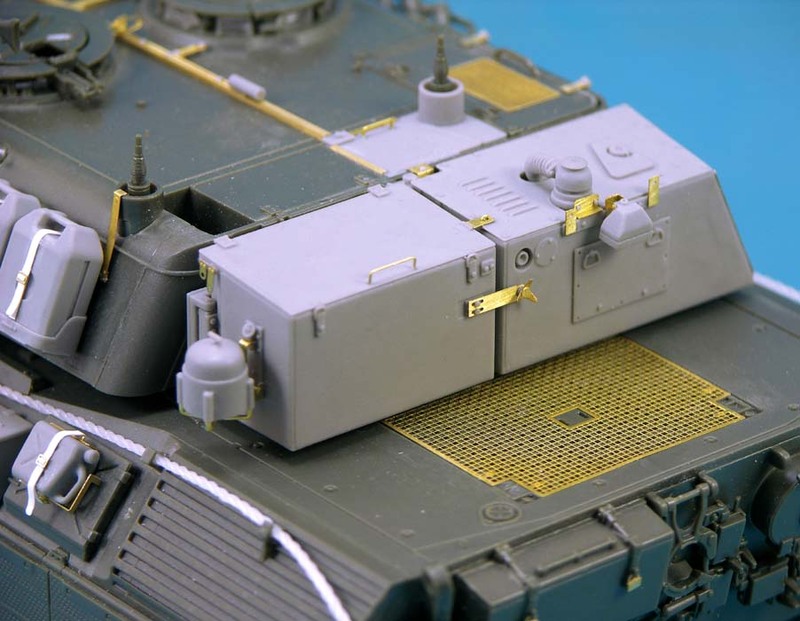 Next to the APU box is a storage box on the turret rear. 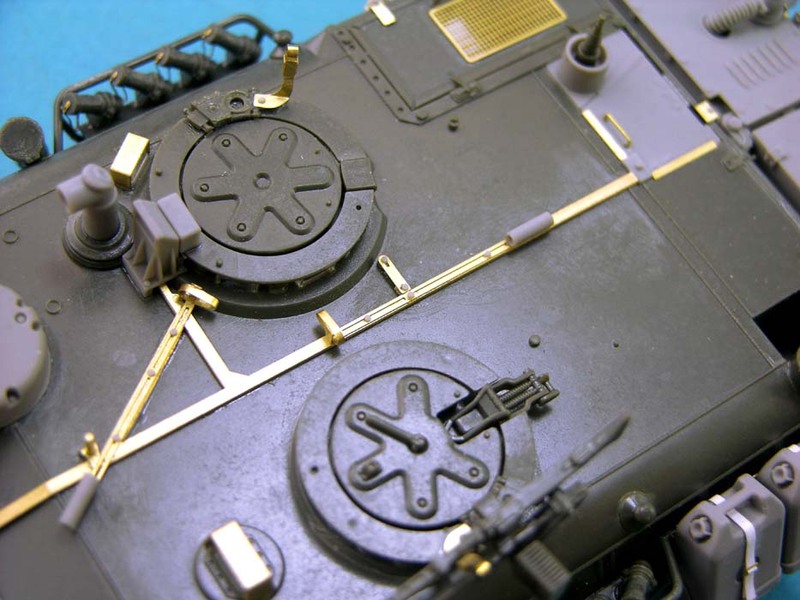 This, again, is a nice clean part with some extra resin parts for the bracket between the box and the turret. Also included is a bracket with a gas cooker. The last dominant feature of the DK1 version is the former M41DK search light. This is really a smashing resin part topped with the best bracket I've ever seen for a Leopard - top job Legend! There are a lot brackets in etch parts to complete this set, all highly detailed and very welcome parts indeed. The only parts I'm not impressed with are the conduits for the electrical cables on top of the turret. They look very cumbersome to build. Four etch parts are provided which have to be layered one on top of the other to provide the correct depth. I think it would be much easier to use plastic strip together with the detail parts. This is a very, very, very good kit - buy it! It is very cheap compared to other conversion kits and you get a huge number of parts. 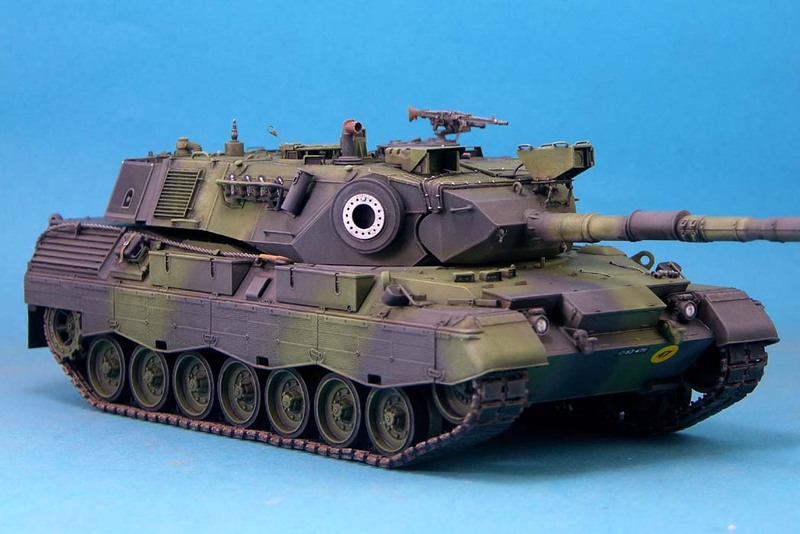 In fact, you'll get all you need to build a Danish Leopard 1A5DK1. 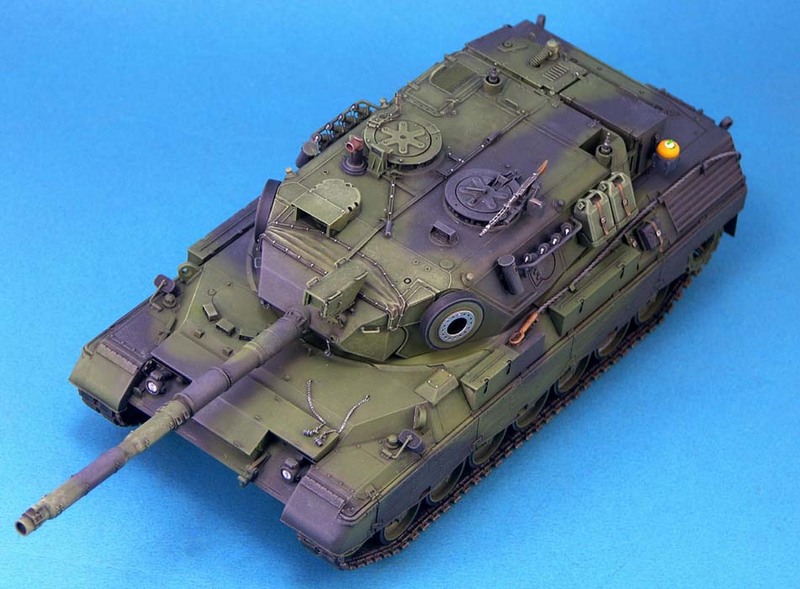 Personally, I would choose the Italeri model as the base for a build. 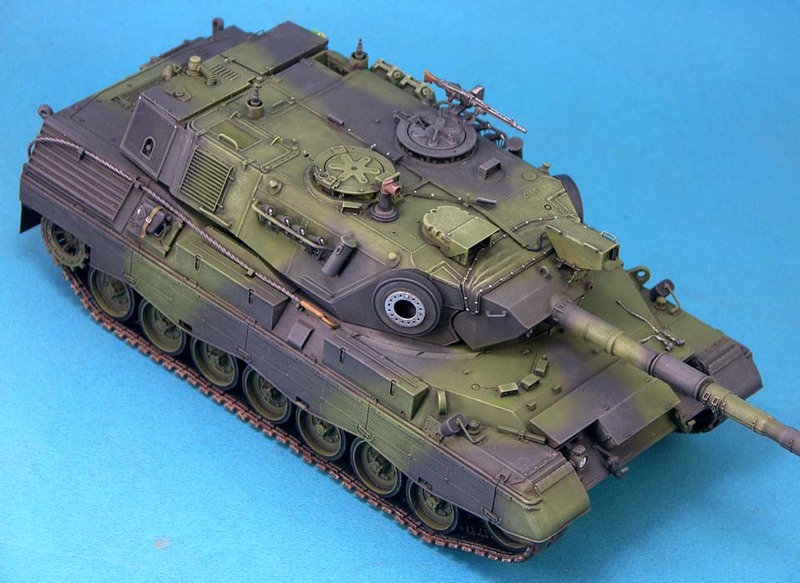 For the money you save on this, you could buy the Orochi track set and the Leopard Club Danish Leopard 1A5DK1 decals. 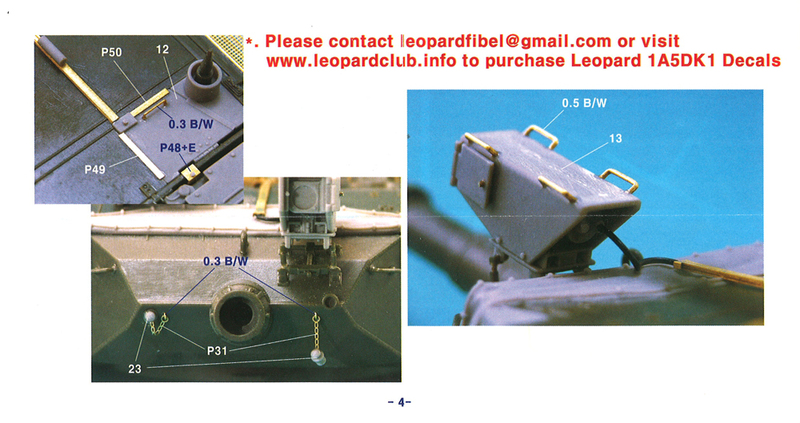 These purchases will give you a beautiful and accurate Danish Leopard model. Thank you Legend for providing the review sample but moreover for providing such a great kit.